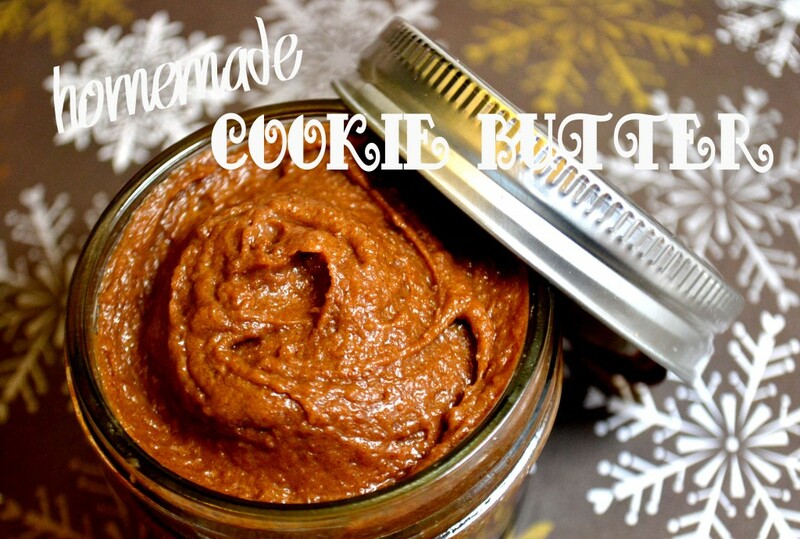 I am often asked just what is cookie butter? The next question I often get is where can you find cookie butter? Trader Joe's carries a smooth and a crunchy variety in their stores. I have also spotted the Biscoff brand of the spread at my local Walmart and most recently at my local ALDI store (the Biscoff was about 20 cents cheaper at ALDI than at Walmart- **UPDATE- I say the Biscoff spread on sale at my local ALDI for just $2.49 a jar yesterday!! Yes, I stocked up. ;) ). Okay, next question is usually which brand do I prefer? 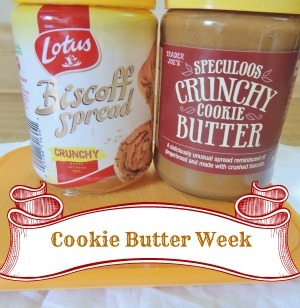 Honestly, I am a little partial to the Biscoff spread and I like the crunchy variety over the creamy one. But I have used both in my recipes that you will find on the blog throughout the week. Okay, now that you have the lowdown on exactly what cookie butter is and where you can find it for yourself, let's go onto the first cookie butter inspired recipe of the week... my Cookie Butter Caramel Biscotti! Preheat your oven to 350 degrees. Line a baking sheet with a silicone baking mat or parchment paper. Set aside. In a large bowl, beat together the cookie butter, caramel, eggs, and brown sugar until nice and creamy and light in color. Set aside. In a medium bowl, whisk together the flour, baking powder, salt, and cinnamon. Gradually beat the flour mixture into your wet mixture. If you are opting to add chopped walnuts or pecans to your biscotti, fold those in now. I loved how this biscotti turned out. It was sweet and crunchy with just a hint of cookie butter and caramel flavor. It would pair perfectly with your morning coffee or a hot cup of tea.